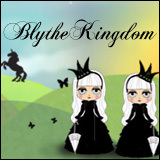 BlytheLife.com » Dream Come True Giveaway: The Winner! I loved all the enthusiasm with the giveaway sponsored by Atlanta from Dream Come True! 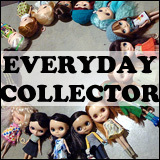 If you haven’t already, you can check out my interview with her about her fantastic vintage-inspired doll beds and bedding sets. Thank you to everyone who participated, who blogged, tweeted, pinned, shared and liked! There was a wonderful 85 entries to be compiled together before doing the drawing! Thank you so much again to Atlanta for offering up such a generous prize for the winner! 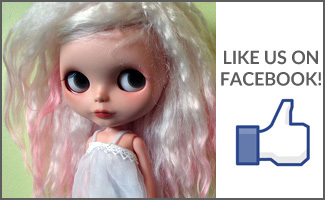 The lucky winner will get a custom-made doll bed for their special doll. Congratulations to Michelle K! I will be passing along your contact information to Atlanta, so look in your email for more information regarding your prize! 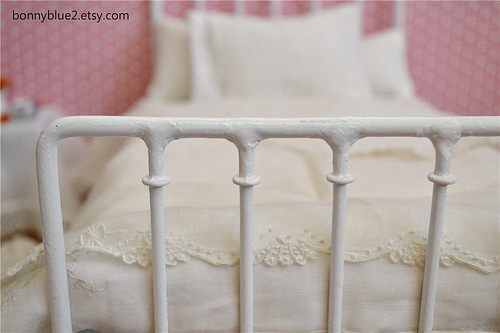 wow their doll beds are so beautiful i want them in people size for my home! congrats to the winner! Yea! Congratulations Michelle! You will LOVE your new bed!